At least five people were killed and dozens injured on Friday in Kabul, Afghanistan, when security forces opened fire on protesters throwing stones at police. The protesters were demanding that President Ashraf Ghani and Chief Executive Abdullah Abdullah both step down, for failing to protect citizens, following Wednesday’s massive terror attack in Kabul that killed 100 people and injured hundreds more. 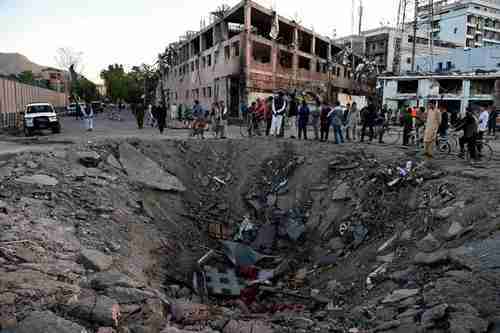 The explosion was caused by a powerful truck bomb in a large truck designed to carry sewage. Over 50 vehicles were either destroyed or damaged in the attack. Buildings hundreds of meters away from the explosion were damaged or had windows blown out. The terror attack is thought to be the worst in Afghanistan’s recent history, and many people are furious that it was allowed to happen. Over 1,000 protesters started marching towards the Presidential Palace early Friday. However, once at Zanbaq Circle, which was the scene of Wednesday’s deadly bombing, police started firing off tear gas canisters. According to some reports, the protesters threw stones at the police. Fire trucks also sprayed the demonstrators with water. When this failed to disperse the crowd, police opened fire with live rounds on the protestors. The result was that at least five people were killed, with two of them shot in the mouth, and two more shot in the chest. At least 15 people were wounded, but reports indicate that they were mostly shot in the legs and feet. 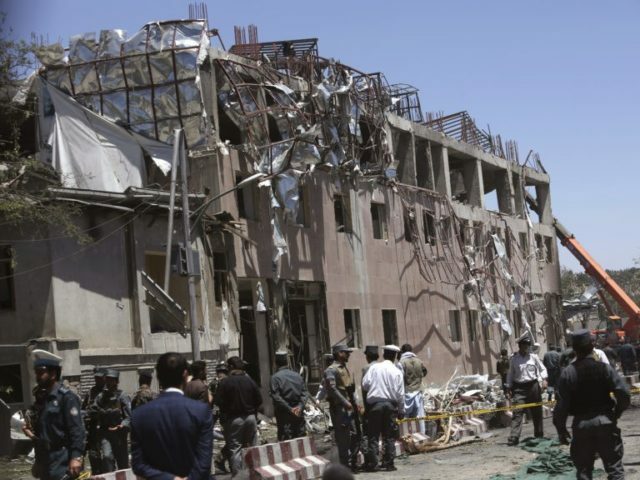 The Taliban are refusing to take credit for the massive Kabul bombing on Wednesday. That is not surprising, because of the massive slaughter of innocent civilians. The Taliban press releases like to portray them as nice guys fighting against a corrupt government and the infidels from the United States and Nato. Slaughtering and crippling hundreds of innocent civilians does not fit with their sweet PR image. Nonetheless, few people doubt that the Taliban, specifically the Haqqani Network, were responsible for Wednesday’s bloody slaughter. Americans and Europeans who try to understand what is going on in Afghanistan rarely dig any deeper than to refer to statements or policies of Barack Obama or Donald Trump or Angela Merkel, as if one of them could cause or prevent a truck bombing. Most people in Kabul probably do not even know who those leaders are. What they do know is that there was a bloody civil war from 1991 to 1996, with both sides regularly committing massacres, torture, rapes, beheadings, and any other atrocity that comes to mind, and the bitter memory of that bloody civil war guides much of what they do, including Friday’s protests. Gulbuddin Hekmatyar is the current leader of Hezb-e Islami (abbreviated HIG for Hezb-e Islami-ye Gulbuddin), a Sunni Muslim ethnic Pashtun group that fought on one side of Afghanistan’s bloody civil war in 1991-96. Hekmatyar himself was a warlord known as the “Butcher of Kabul,” because of his unparalleled record of atrocities, killing thousands of innocent people. Hekmatyar last month was allowed to return to Kabul after 20 years in exile, mostly in the UK. Hekmatyar had signed a peace agreement that granted him immunity for acts committed during the war. In return, Hezb-e-Islami will renounce its ties with extremist groups. The country is tired, we were born in war Mr. president, we got old and our sons are getting old, you tell us when will peace come to Afghanistan. This is always the cry of survivors of generational crisis wars. Traumatized by the war, all they want is peace. There will be no return to general civil war — the traumatized survivors will see to that. But the young people will hold protests, demonstrations, and riots that sometimes become violent. Afghanistan is also a special case because the Taliban are radicalized ethnic Pashtuns, and they are receiving support from the Pashtuns in Afghanistan, which is in a generational Crisis era. So there will more terrorist acts and no peace.